Dr. Lev Haimoff, Diplomate of the Americal Board of Internal Medicine, offers comprehensive diagnosis and treatment of vast variety of medical conditions including hemorrhoids. He brings together extensive clinical experience, compassion, and state-of-the-art equipment in addressing patients medical needs. Dr. Haimoff takes pride in encouraging each and every patient to play a vital role in his or her treatment. Years of dedication and commitment has allowed him to establish an ideal and very successful medical practice. Dr. Lev Haimoff completed his undergraduate training at Queens College, City University of New York, majoring in Biochemistry. During his undergraduate training he received Herman Schulz Memorial Scholarship, Ira M. Goldin Memorial Award and graduated with Honors in Chemistry and Biochemistry. 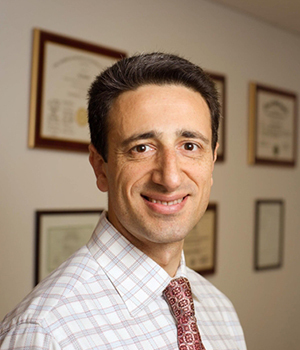 Dr. Haimoff obtained his medical degree from New York College of Osteopathic Medicine, graduating with honors in Neuropathology and Endocrinology. Dr. Haimoff completed an internship followed by residency in Internal Medicine at Lenox Hill Hospital (ranked among the nation’s top hospital in Heart and Heart Surgery, Neurology and Neurosurgery and Orthopedics). He is certified by the American Board of Internal Medicine and affiliated with Lenox Hill Hospital. Dr. Kuznetsova received her undergraduate and medical degree from NYIT – New York College of Osteopathic Medicine, New York. She graduated with honors in psychiatry. 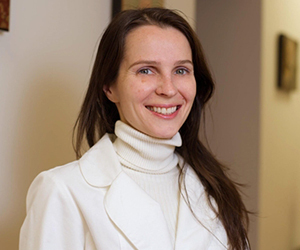 Dr. Kuznetsova completed her internship and residency training at Long Beach Medical Center, specializing in Family Practice, she also received training in Osteopathic Manipulations and Gynecology. Dr Kuznetsova spent three years after completing her training working and focusing primarily on non surgical hemorrhoid treatment. Having all that diverse medical experience Dr. Kuznetsova is board certified in Family Medicine and practices primary care medicine, preventive care and non surgical hemorrhoid treatment.